The Korean Wave seems to have lapped over onto the global catwalk, where models from the peninsula, in the words of one magazine, are making strides "armed with a killer walk, crescent-shaped eyes, and stunning bone structure." Korean models have been cast in the shows of luxury brands such as Alexander Wang, Dolce & Gabbana, Marni, Miu Miu, Prada, Ralph Lauren and Tommy Hilfiger, and some of them have even become the "face" of some well-known brands. Park Ji-hye (24) made her debut abroad in June, and has taken part in over 30 shows in the world's four major fashion weeks in London, Milan, New York and Paris. Models.com, which ranks models around the world, listed her as one of the "Top 10 Newcomers." Kim Sung-hee (26) had her first fashion show abroad this spring and made a lasting impression. She became the first Asian to advertise Miu Miu. She also modeled for Italy's Benetton and French cosmetics chain Sephora. Lee Kyung-eon at model agency ESteem, said, "Kim's unique Asian look and adroitness and her versatile expressions on stage make her a magnet to the eye." Among male models, Kim Won became the first Asian male model to be featured in the 2013 Spring/Summer Prada fashion show in Milan in June. The 25-year-old also did shows for Costume National, Etro and Perry Ellis,. Park Sung-jin (22) took part in shows for Marc by Marc Jacobs and Tommy Hilfiger. Yoo Jae (23), who was the first Asian male model on Calvin Klein's fashion show in February last year, had a prolific year with shows for Bottega Veneta, Calvin Klein and Dolce & Gabbana. What is it about Korean fashion models that has captured the industry? Dongduk Women's University professor and sometime model Kim Dong-soo said, "When I talk with foreign model agencies, the feedback I get is that Korean models are more active and lively than Japanese and more sophisticated than Chinese. Another strength lies in walking. 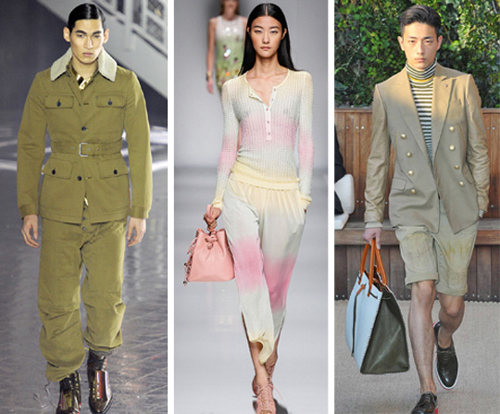 Korean models go abroad after very rigorous training in Korea, so it makes them stand out." Aile Model Company CEO Jeong Jin-hee said, "Korean models know how to make up for their lack of linguistic proficiency with their expressiveness. Their greatest strength is that they know how to express the feel of the clothes with their body." Choi Joo-soo of Choi Entertainment said, "These models who lead the Korean Wave in the modeling industry, are not popular just because they are Asian but because of their unique character and charm."